INFO: Microsoft Artificial Intelligence (AI) School… free! 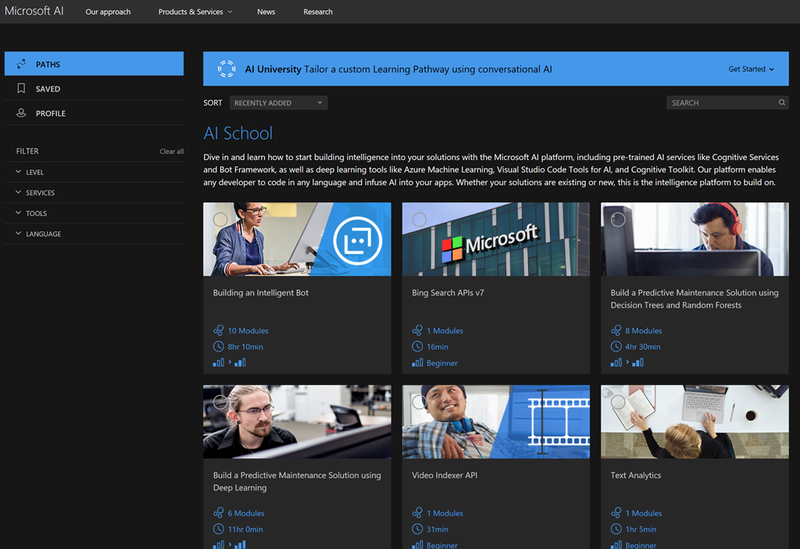 Dive in and learn how to start building intelligence into your solutions with the Microsoft AI platform, including pre-trained AI services like Cognitive Services and Bot Framework, as well as deep learning tools like Azure Machine Learning, Visual Studio Code Tools for AI, and Cognitive Toolkit. Our platform enables any developer to code in any language and infuse AI into your apps. Whether your solutions are existing or new, this is the intelligence platform to build on.